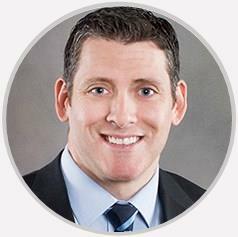 Dr. Mark Dumonski specializes in surgical and non-surgical conditions related to the cervical, thoracic and lumbar spine, and is board-certified in orthopaedic surgery. His surgical expertise includes spinal decompressive procedures, routine and complex spinal fusions, minimally invasive procedures, as well as motion preservation procedures such as artificial disc replacement. The reviews listed below were collected independently of Guilford Orthopaedic and Sports Medicine Center through rater8. Each review represents an authentic and verified patient experience. 3 years of back pain completely gone due to his skill and caring. I didnt really get to see mark but I did see kala his asst. And I gave four star dye to the fact she is as knowledgeable as he is and what I like about the two of them is they both keep you involved with there health decisions. Dr. Dumonski always listens to what I have to say and address my concerns. I feel he cares about my health. I would recommend he to anyone that is having back troubles. Very personable and explained everything in detail. Awesome job of patient care. Very kind, professional and informative of my healthcare. He and his staff are the best. They explained everything in terms I understood and gave me several options, beside just rushing in to do a surgery. Dr. Dumanski is the best.